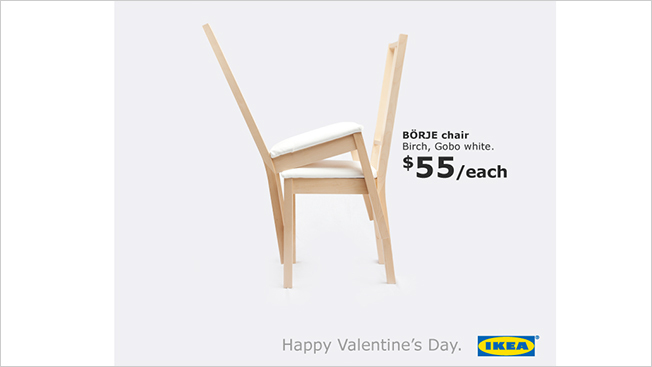 Here's some hot wood-on-wood action for Valentine's Day, courtesy of Ikea. BBH Singapore created this Valentine's Day image, which was posted to the brand's local Facebook page and is being featured on posters in stores, according to Campaign Brief Asia. Hat tip to Mashable, which reminds readers of the even saucier (though unofficial) Ikea stunt, Hot Malms.